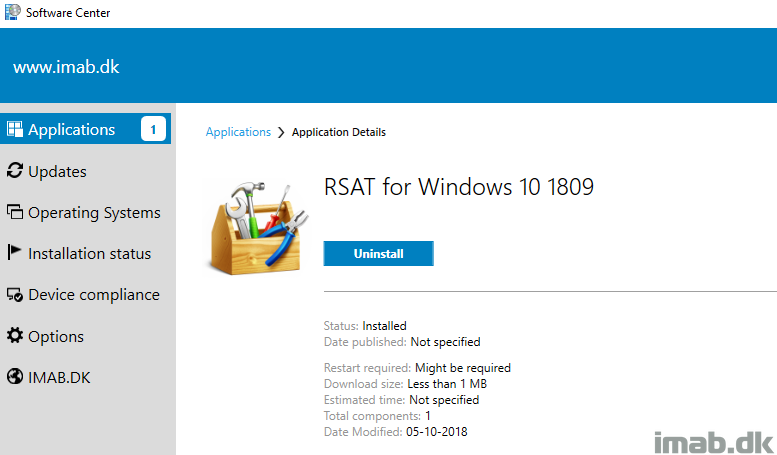 The script requires administrative rights as well as access to the Internet (RSAT is installed through Microsoft Update). 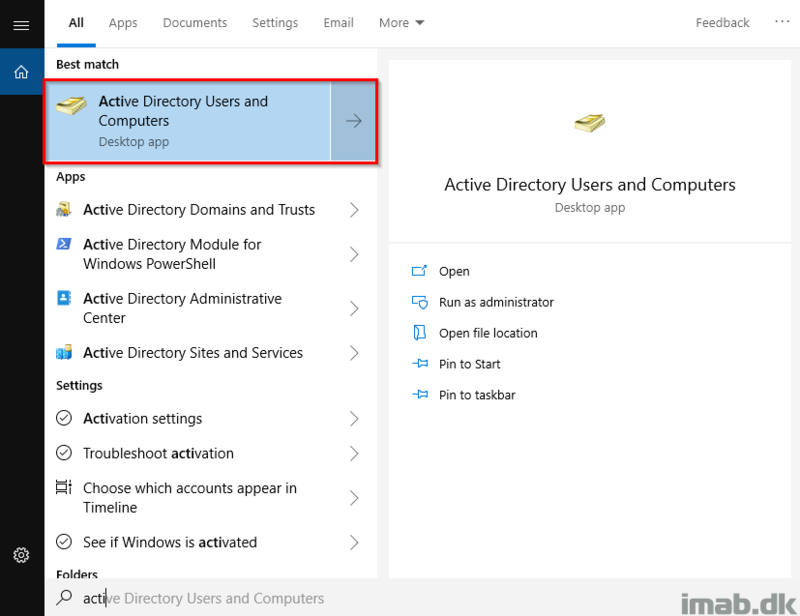 The script is built around Get-WindowsCapability, Add-WindowsCapability and Remove-WindowsCapability. Download the complete script on the TechNet Gallery using below link. The script is creating registry keys in HKLM for you to use as detection method. Find below the snippet of the registry keys being created. Modify directly in the script to suit your own needs. For your convenience, I have included a few snippets of the application in my environment. See below. And once the application is deployed, you will have something similar as my example below. Never works for me. Even when running the command line on a machine logged in as local admin, it says that it requires elevation. 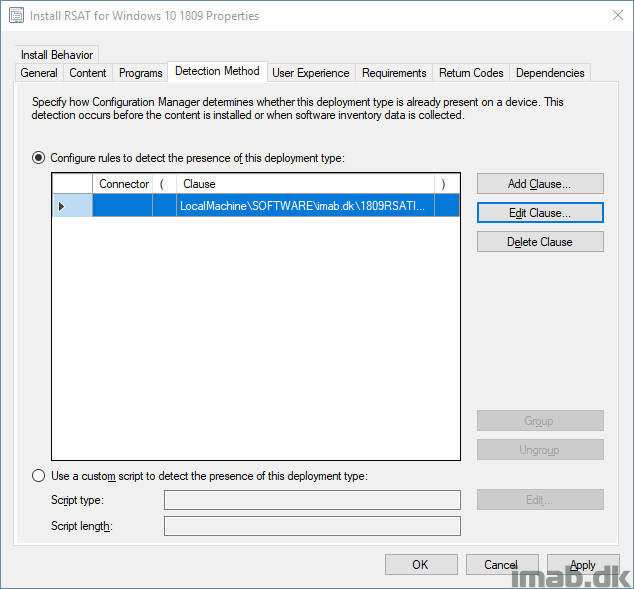 How do you get elevation by using Configmgr? This is great thank you for this. I am getting an issue with the uninstall. 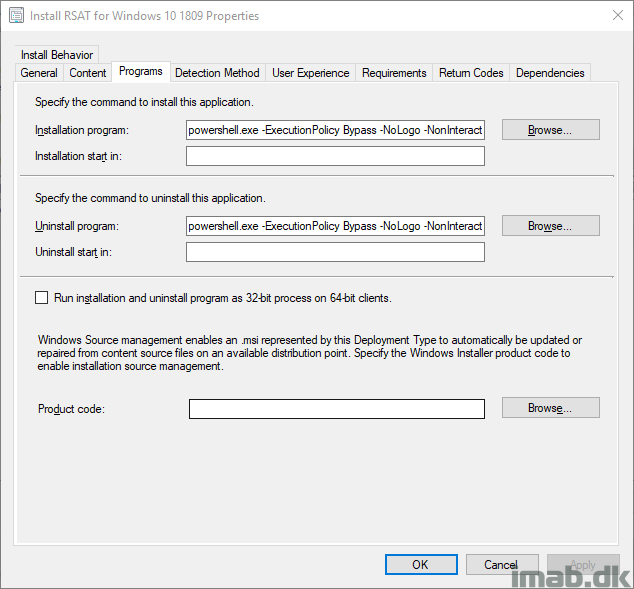 when it runs and it gets to Removing “Rsat.activedirectory.ds-lds.tools” I am getting the error that a permanent package cannot be removed. is there a way around this? Hi Brandon, this is new to me. Is this happening when you run the script manually with the -uninstall switch? Thank you for this script, it works really well !